A gross and totally hilarious ‘encyclopedia of food’ by Australia's best-loved kids comedians, The Listies, for ages 8+. Following on from their hilarious Ickypedia, comes this CROOKBOOK full of INGROSSIENTS to make every kid into a DISASTERCHEF. 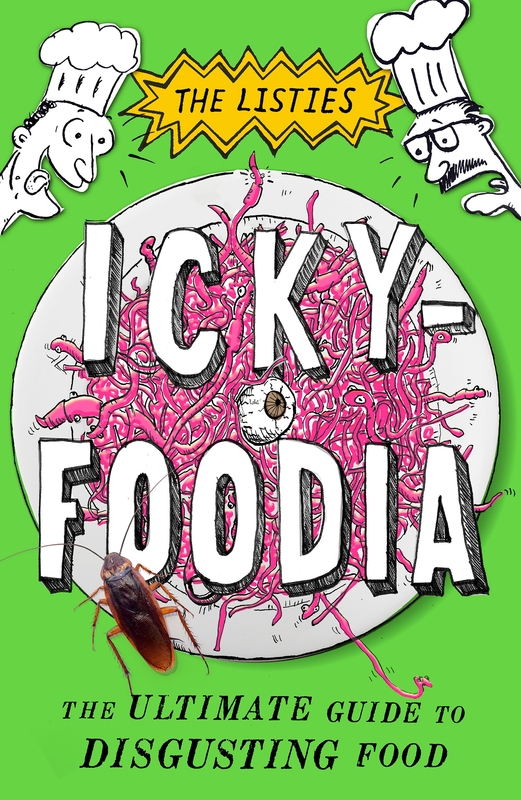 It contains smelly and just plain disgusting words, scribbles, COOKING DESTRUCTIONS and a guide to the world's worst RESTAURWRONGS. Full of made-up history, bonkers definitions, food unfacts and packed with illustrations by Australia’s best-loved kids comedians, The Listies! Love Ickyfoodia: The Ultimate Guide to Disgusting Food? Subscribe to Read More to find out about similar books.